Arsenal- From the Sidelines. : Andrei Arshavin. And what he said. Andrei Arshavin. And what he said. Andrei Arshavin, leaves behind memories. Arsenal have always had amazing, exciting players. But when Arshavin arrived in 2009, be brought with himself something extra. He ran at defenders with the ball at his feet, rather than threading the ball through like we're used to seeing. He brought a good change. As seasons passed by, the number of games he played per season started falling. However his impact was very very visible. In the 2010-11 season he scored 10 goals and had 17 assists to his name. Unbelievable. He scored 4 goals at Anfield. Again unbelievable. However, from the beginning of this season he didn't seem the same. 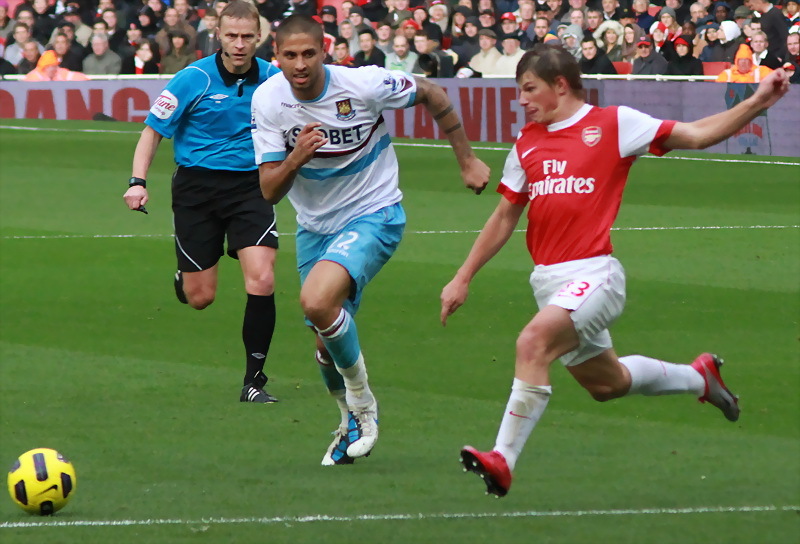 Arshavin seemed disinterested, lethargic and lost the ball often. Right from the television pundits to football 'fans' who didn't know squat about football seemed to criticize him. Wenger gave him numerous chances on the left wing, but time and again he did not make the required impact. Attracting further ridicule. All this was fine, a player does go through bad times. You don't think so? Look around for a certain spaniard who seems to have forgotten where the net is. But, what was not fine was what he said a few days ago when apparently in the midst of the entire team he proclaimed he wasn't interested anymore and wanted to leave. I personally hate the fact that he was loaned out at a time when the team needs experience and quality the most. Arshavin is both. Having him on the bench was a safe bet, maybe he would find form again. But if he really did say all that, I have no doubt that his time was up at Arsenal. No matter who the player, once he isn't interested anymore, all hell on earth can not make him do well. I still believe he's quality, maybe going back to Zenit will help him find form and he can come fact to Arsenal and give his best again. Even though he's a good player, he was turning into a negative influence in the dressing room, such a player has to go. It's sad that Arsenal have lost a quality player, but he sealed his own fate when he said he wasn't interested. Maybe he was turning into a negative influence in the dressing room that put other players off. If he does not return, this will be a sad end. An end that such a player does not deserve. Hopefully he will return, and run at defenders again. After all we will be going to Anfield next season also. On another note, there are very things that p*ss me off, but right on top of that list is Adebayor telling Arsenal what to do. Hopefully we will answer on the pitch. For the past 15 years Spurs have been behind us, and this year isn't over yet. Theo Walcott. How the world's got him wrong. Two nil and you fu*ked it up. Arsenal have turned a corner. Now.